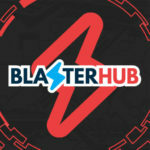 Hong Kong Nerf group, Nerf x Code:852 managed to get their hands on some of the latest 2018 Fall Nerf blasters. In a YouTube video live stream they unboxed the Elite Scout MK-II, Rival Hera, Elite Delta-Trooper and the Modulus Evader. The blasters they unboxed in the livesteram appear to be review samples sent by Hasbro. … Continue reading Nerf News: Infinus, Evader, Scout MK2, Deltatrooper Unboxed!